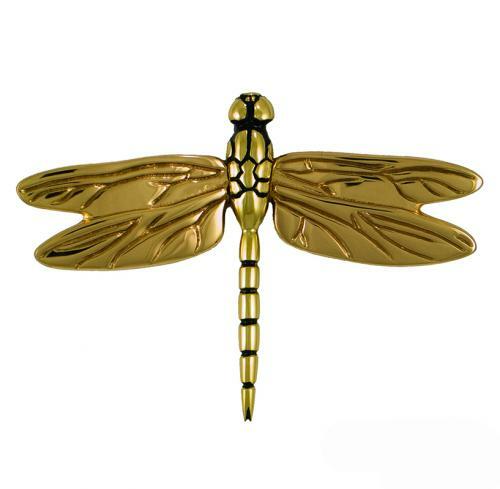 Dragonfly Premium Size Door Knocker designed by Michael Healy. The Dragonfly Door Knocker has been cast in solid brass and is available in three finishes - Brass & Bronze, Nickel Silver and Oiled Bronze. It measures 6"H x 8.5"W x 1.75"D and is a stunning addition to your entry decor!